In a recent bit of research, Crossway conducted a survey about the Bible reading habits of over 6,000 Christians. 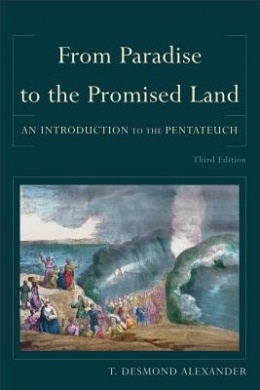 One interesting finding was that when the Bible is split into six traditional divisions (Pentateuch, Historical Books, the Writings, the Prophets, Gospels/Acts, and Epistles/Revelation), well over 40% of those surveyed ranked the Prophets as the section “hardest to understand.” The Prophets also scored very low in the category “read most often” (less than 5%). Is lack of reading to blame for lack of understanding, or does the inherent difficulty of the material lead to neglect in reading? Probably some of both. Evidently, encouragement to read and guidance for reading are needed. Hopefully, if we can gain some clarity on who the prophets were, what they were doing, the context in which their work happened, and what their basic message was, we will have greater confidence in reading what they wrote. But first, consider this: The portion of the Bible that dominates the reading focus of believers and which they say is the easiest to understand is the New Testament. 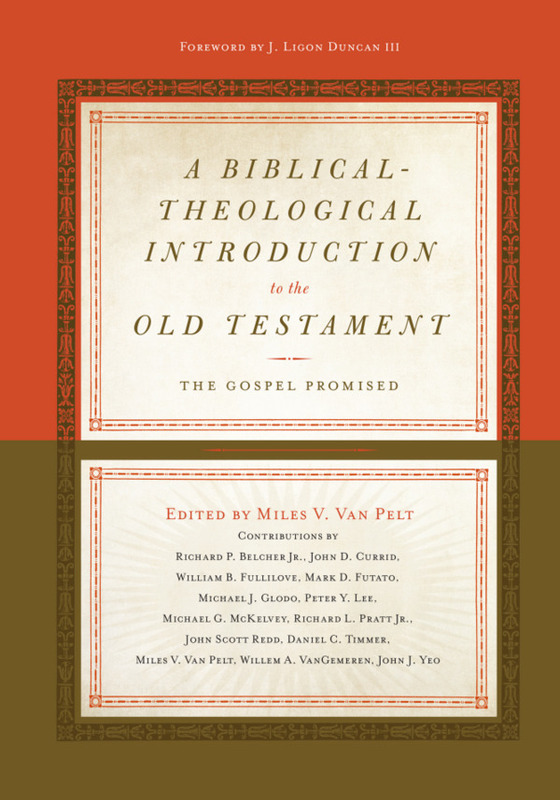 But the New Testament, in large part, is an extended effort to explain the meaning of the prophets. This issue was central to the conflict between Christians and Jews in the first century—how should the prophets be understood? One of Jesus’ first recorded statements after the resurrection is to rebuke some of his disciples for being “slow of heart to believe all that the prophets have spoken” (Luke 24:25). Stephen likewise builds the case in Acts 7:1-53 that the life and death of Jesus is the proper culmination of the Old Testament history, and that the Jewish leaders by their unbelief were “resisting the Holy Spirit” as did their fathers, who persecuted the prophets and “killed those who announced beforehand the coming of the Righteous One” (Acts 7:51-52). In Antioch of Pisidia, Paul told the Jews of the synagogue that the people of Jerusalem rejected Jesus because they “did not understand the utterances of the prophets, which are read every Sabbath” (Acts 13:27). When we read Paul’s epistles, we often find him explaining his gospel and defending his ministry by appeal to the prophets (Romans 9:22-29; Romans 15:18-21; etc.). 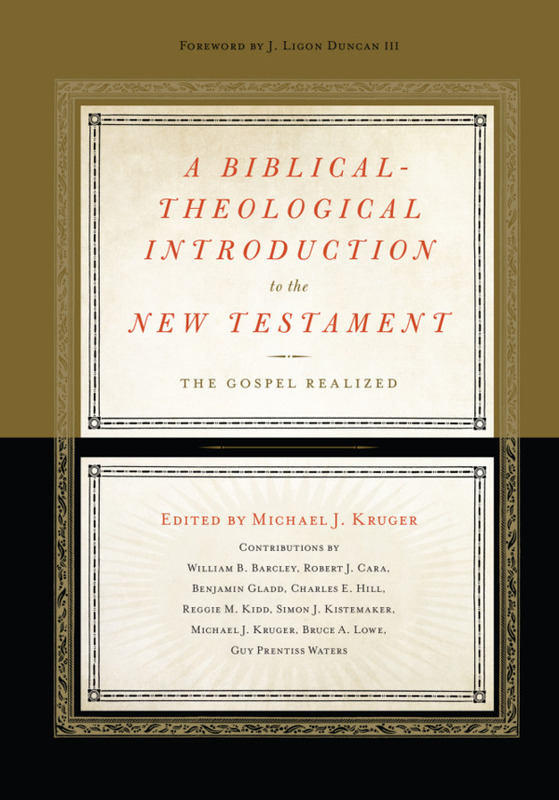 Put simply, we are not properly understanding the New Testament if we are not appreciating that it is a defense of a particular reading of the prophets. Without a basic familiarity with the prophets themselves, we will have little awareness of what is really happening in much of the New Testament. It would be like trying to understand Luke Skywalker’s confrontation with the Emperor in Return of the Jedi without having watched A New Hope or Empire Strikes Back. Taking the time to understand the prophets is worth it. So let us ask—who were the prophets, what were they doing, and what was their basic message? At the most basic level, the prophets were those called out by God to speak God’s words to his people. Prophets were not fortune tellers with some kind of mystical insight into the future, peddling information about coming events to satisfy idle curiosity. Their words were the words of the Creator God to human beings. God’s words sometimes referred to the future. Sometimes they referred to the past. Almost always they were directed to the present status of God’s people with regard to their covenant faithfulness, or, more often, their lack of it. God’s words were frequently calls to action (usually repentance). The prophets delivered words of rebuke, words of assurance, threats, and sometimes words of consolation. But what they delivered were God’s own words. The Lord your God will raise up for you a prophet like me from among you, from your brothers—it is to him you shall listen— just as you desired of the Lord your God at Horeb on the day of the assembly, when you said, “Let me not hear again the voice of the Lord my God or see this great fire any more, lest I die.” And the Lord said to me, “They are right in what they have spoken. I will raise up for them a prophet like you from among their brothers. And I will put my words in his mouth, and he shall speak to them all that I command him. So prophets, again, spoke God’s own words. This is graphically symbolized in Ezekiel, where the prophet is told in a vision to eat a scroll, with the result that God’s words would then come out of his mouth (Ezekiel 3:1-4). And a false prophet was precisely one who spoke from his or her own mind rather than from the mouth of the Lord. As Ezekiel says, “Woe to the foolish prophets who follow their own spirit, and have seen nothing!” (Ezekiel 13:3). Do not listen to the words of the prophets who prophesy to you, filling you with vain hopes. They speak visions of their own minds, not from the mouth of Yahweh. They say continually to those who despise the word of Yahweh, “It shall be well with you”; and to everyone who stubbornly follows his own heart, they say, “No disaster shall come upon you.” For who among them has stood in the council of Yahweh to see and hear his word? . . . if they had stood in my council, then they would have proclaimed my words to my people, and they would have turned them from their evil way, and from the evil of their deeds (Jeremiah 23:16-18, 22). What Were the Prophets Doing? There were prophets before Israel entered the Promised Land, and there were prophets before the establishment of the monarchy. But the ministry of the prophets was most prominent during and after the period of the divided kingdom. After the tribes of Israel divided into the northern kingdom of Israel and the southern kingdom of Judah, the prophets come more and more into the foreground. All of the “writing prophets”—that is, prophets who have left books in their names (Isaiah, Jeremiah, Hosea, and the rest)—lived during these few centuries, from roughly 800 B.C. – 450 B.C. Some of them directed their message to the southern kingdom, and some to the northern kingdom. Most ministered before the Babylonian Exile, but a few (Haggai, Zechariah, and Malachi) ministered after. In understanding the prophets, therefore, it is extremely helpful to be familiar with the basic outline of Israel’s history by digesting the books of 1-2 Kings. This record of Israel and Judah’s history is the setting in which the prophetic books are are to be placed. The best way to understand the ministry of the prophets is to realize that they are covenant lawyers. They were God’s prosecuting attorneys, delivering God’s lawsuit against his people for their persistent covenant transgressions. On the basis of God’s covenant with his people at Sinai, including the blessings promised for obedience and the curses promised for disobedience, the prophets were sent to declare to the people where they stood. God of course is the God of all the earth, and so sometimes the prophets had messages for the nations surrounding Israel as well, but this was often done because the situation of these nations was relevant to Israel’s own fortunes. Perhaps it is reckless to suggest a single, basic message of the prophets, but I am going to suggest one anyway. I would suggest that if we take the writing prophets and boil down their essential message, it would be this: Israel must die, but Israel will be resurrected. God will bring judgment upon his people, but there will be new life on the other side. “Plead with your mother, plead—for she is not my wife, and I am not her husband—that she put away her whoring from her face . . . ” So begins Yahweh’s charge against his people through the prophet Hosea (Hosea 2:2). The word for “plead” in these prophetic contexts, sometimes translated as “contend,” is really legal terminology. It means to bring formal charges against, or to file a lawsuit. Israel was legally bound to Yahweh by the terms of the covenant, and when those terms were transgressed repeatedly and on a grand scale, the Covenant Lord would send his lawyers, his legal representatives, the prophets, to announce that covenant curses were imminent. And so it is that Hosea warns adulterous Israel that she is about to be stripped, made barren like a wilderness, and killed with thirst (Hosea 2:3). Yahweh is going to take back the blessings he had poured on her—the grain, wine, oil, silver, and gold (Hosea 2:9), and she will be exposed to the world for what she is, to everyone she had run after in place of her Redeemer (Hosea 2:10). Images of destruction pile on: “I will put an end to all her mirth, her feast, her new moon, her Sabbath, and all her assemblies. And I will lay waste her vines and her fig trees . . . ” (Hosea 2:11-12). She will be turned into a wilderness, “like the day she was born” (Hosea 2:3). She is being disowned and put right back where she started, and left all alone. It is a picture of abandonment. “Therefore”? I am going to kill her, and therefore I will make her flourish again? But there it is: When God sends his covenant-transgressing people back to the wilderness to die, it is precisely so that he can resurrect them into closer union with himself. At the center of Amos is the statement, or really the lament, that “Fallen, no more to rise, is the virgin Israel; forsaken on her land with none to raise her up” (Amos 5:2). But Israel’s God gives life to the dead, and so Amos ends with the promise that “In that day I will raise up the booth of David that has fallen and repair its breaches, and raise up its ruins and rebuild it as in the days of old” (Amos 9:11). Ezekiel’s vision of the dry bones is well-known. The valley was full of them, scattered and parched. Could they ever live again? Ezekiel may have suspected that they could, but when asked he wisely said, “O Lord GOD, you know.” And the Spirit came and gave life to the bones, the thigh bone connected to the hip bone, the hip bone connected to the back bone, the back bone connected to the . . . you get the idea. Muscles and flesh came upon them, and they stood up as a great army. And the lesson was this: “Behold, I will open your graves and raise you from your graves.” Read all about it in Ezekiel 37:1-14. The impression is unmistakable throughout the prophets that two things are certain: Death and New Life. God’s people must die for their sins, but he will make them live again. Is it any surprise that when Yahweh visits his people in the flesh to be the “Amen” to all of God’s covenant promises (2 Corinthians 1:20), and to be the firstfruits of the resurrection (1 Corinthians 15:23), he dies under the curse and is raised to new life? Is that not all that the prophets had spoken (Luke 24:25)? Jesus is the embodiment of the prophetic hope for God’s people. In Jesus’ death and resurrection, and in his people’s union with that death and resurrection, the promise of the prophets is coming to fulfillment. Transgression has met with the covenant curse in the cross of Christ, but God has brought life out of death.